Amelia made a difficult decision but she could seek the comfort, love, and support of her sisters. 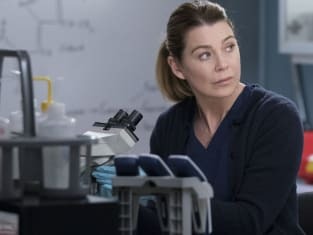 Grey's Anatomy Season 15 Episode 16: "Blood and Water"
Grey's Anatomy Round Table: Who Wants Jolex Babies?! Yeah kids ruin your life, but they also give you a reason to live when life tries to ruin you. Permalink: Yeah kids ruin your life, but they also give you a reason to live when life tries to ruin you. Hi, are you in charge here? Because there is a child doctor working on my husband. Permalink: Hi, are you in charge here? Because there is a child doctor working on my husband.